Introduction to: Unique Functional Pottery. Pottery, eons old, has always been an integral part of human existence. Pottery can be as basic as a jar for keeping a stock of grain, as common as a coffee mug, as elaborate and innovative as our Spiral Veggie-Dip Platter, or as whimsical as our 2006 NICHE AWARD WINNER Chicken-Legs Egg Cup. The pottersâ�� wheel is the means for creating functional vessels, however, it is not the goal. Our pottery differs from other pottersâ�� works, and can be easily identifiable as such. We strive to invent, innovate, and perfect the products weâ��re creating. Great attention is paid to small details. All work is wheel thrown. Handles are pulled, not extruded. Glazes are chosen to complement the design without overpowering it. Lilach has mastered her throwing skills, taking just the right amount of clay to do the job. Youâ��ll find her pieces are surprisingly light weight, thanks to her techniques. â��While designing a particular piece, I try to erase from my mind all that has been done in that field, and start from the beginning. That way I come up with a completely new, fresh and contemporary designâ��. 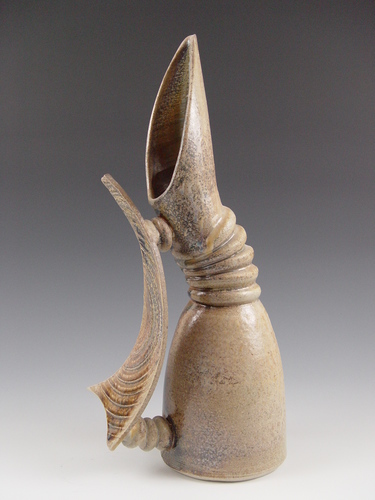 Our clay of choice for this body of work is chocolaty-brown stoneware, electric fired to cone 6. Glazes have been researched, created from scratch, and tested by Digital Fireâ��s Insight 5.4 software, to ensure their food safety, resistance to household elements, such as food colourants, acids and hygiene; microwave and dishwasher safe. Explore our wide range of Functionals, in this diverse and informative Gallery. At the heart of a good design lies an idea, conveyed by shape, form and contour; without the distraction of colours. The only shade being considered is that produced by the object itself: Achromatic shades of light, and its absence. The contour reveals itself by the presence and absence of material, both of equal importance. Our wheel thrown, ceramic designed pieces are made out of porcelain, chosen for its' purity. 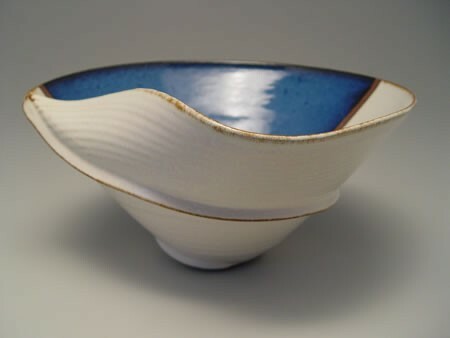 A semi-matte white glaze is used for the same reason. The glaze has been scientifically tested, and is food safe. Once there are no more material considerations, the field is left open for the ideas to start taking their form. Pieces are Electric fired to cone 6. 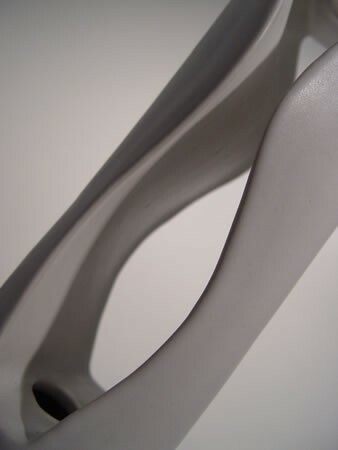 They appeal to the modern interior designer, home decorator, or the industrial designer. Fitting perfectly with the urban and chic lifestyle, they engage the observer in exploring the essence of an object. Within this Gallery youâ��ll find an assortment of vases, bottles and jugs, as well as a selection of some of our functional pottery, adapted to exhibit their beauty in an achromatic manner. 2006 NICHE Awards Finalist, our Coral Reef Wall Sconce is an example that itâ��s more than a sum of its parts. 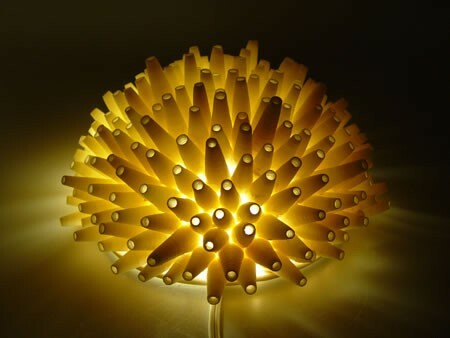 Wheel thrown Translucent Porcelain is used to create these wonderful fixtures. With a light bulb behind them, hung on the wall or suspended from the ceiling, they create an illuminated, functional piece of art. As light passes through the porcelain, it changes its colour to a warm orange, and enhances the attributes of the thrown piece: You can recognize the rings created by the throwing process, change their shade and colour, in a most magical way. Words cannot describe the mood these project. You have to see them for yourself. Welcome to our Lighting Fixtures Gallery. 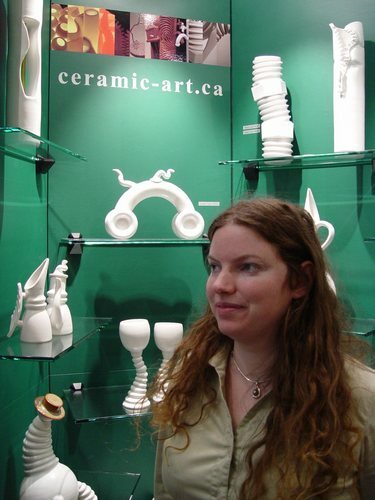 2007 NICHE Awards WINNER: Ceramics - Wheel-thrown Category. 2006 NICHE Awards WINNER: Whimsical Category. Ceramics Monthly 2006 Emerging Artist. Featured in: 500 Pitchers/Lark Books.